Last October for almost a month I was in Rome visiting my sister. She lives a bit far from the city which means public transportation is needed. Taking public transport means 1.5 Euro for each trip whether by bus or metro. 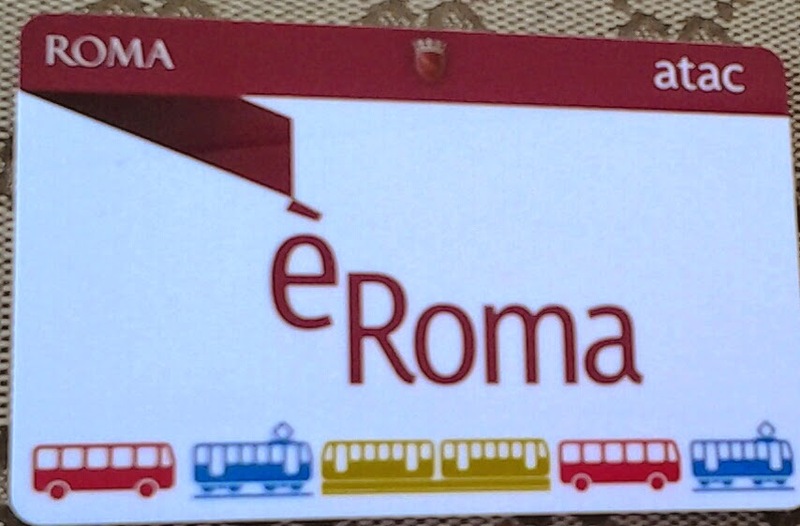 Good that ATAC is introducing the new card names èRoma which costs 35 euro for a month for unlimited uses. It can be used for tram, buses and metro. This one is different from the 35 euro pass for tourist which includes free museums and only lasts for couple of days. This èRoma can be bought by tourist or anyone. Just bring the passport/copy (in case they ask it) and fill out the form in the nearest places where Romans buy their monthly passes. Usually it can be found in the Metro station. No photo is needed. Behind the card, there is our name as per the passport and other information such as birthday. In less than 5 minutes, you will receive the card. Make sure you keep it in a safe and reachable place. Because if you lose it, someone else can use it since there is no attached picture of ourselves in the card. The card is valid from first to end of the month only. If you buy on the 20th then it is only valid till end of the month and another one should be bought from first of the month.